Beautiful fields of native Texas wildflowers await you on the highways and backroads as you venture to our historic city for a Texas-Sized Spring Break. 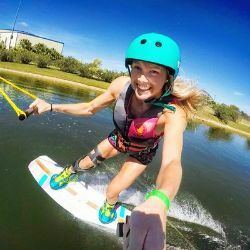 New Braunfels is known for water recreation and outdoor activities. Why don’t you come for a swim, tube, or kayak adventure? Schlitterbahn New Braunfels will be open for Spring Break and our river outfitters are standing by to make sure you have a safe, fun time. You’ll want to check out all our water fun opportunities below! 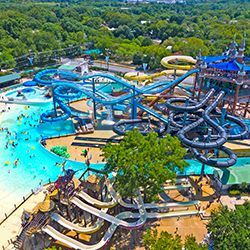 Schlitterbahn&apos;s Blastenhoff section is open daily for an extended Spring Break, March 9-17, 2019 & Saturday and Sunday, March 23-24, 2019. With temps a steady 70-72 degrees year round, this spring-fed river is ideal for a refreshing float into Spring and Summer. 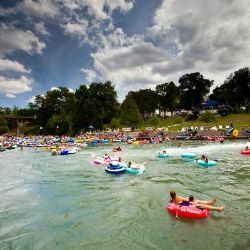 Where else in central Texas can you find a sandy beach, go snowboarding, or paintball year round?! 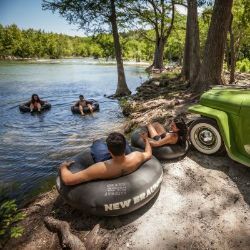 Flows from Canyon Lake create what most Texans know as the epicenter for a more rugged tubing experience. 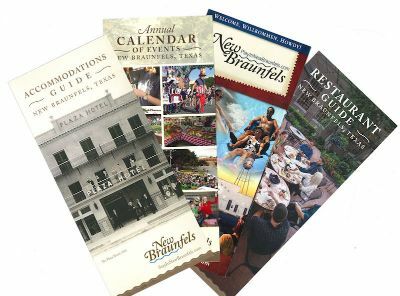 Become a New Braunfels expert before you arrive. Order a free visitors guide that includes information on our top attractions, local dining options, and annual events. From waterfront cabins and condos to hotels offering convenience and value, you can forgo the endless Airbnb or VRBO search and book direct here.